Will started Explore rentals (formerly Phasmid Rentals) in the summer of 2010 with one Suburban, his mom’s old Subaru Outback, and a bunch of his own gear in a small warehouse on the east side of Bozeman. Over the years his tenacity and obsessiveness have allowed Explore Rentals to flourish into a real honest-to-goodness business. Originally an east-coaster, he did the prep school thing (Phillips Andover) and small liberal arts college (Bowdoin College, Fine Arts major!). Post-collegiate he managed a restaurant for a while and then pursued his passion for fly-fishing as a career. Starting in Alaska as a guide, he found success and his passion took him around the world guiding and managing lodges for about 10-years. During that time he lived and worked in Mexico, Belize, Bahamas, Russia, Mongolia, and New Zealand. 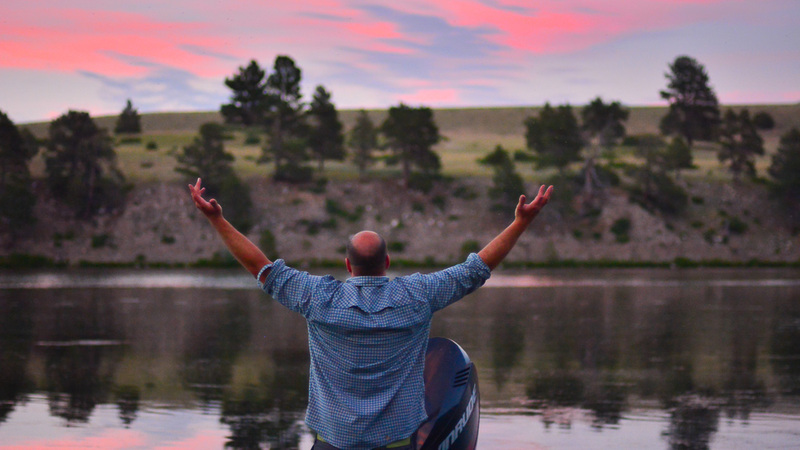 In 2010 he unpacked his bags in Bozeman, started Explore Rentals, and hasn’t looked back since. He is an avid photographer, camper, paddler, angler, and upland bird hunter. When not in the office he is usually out with his Wire Haired Pointing Griffon, Auggie.